Joseph Lawson is a visionary award-winning marketing leader with successful track record of marketing video products in cable, mobile and broadband. He has worked in the multichannel video industry for most of the past 33 years including the last nine at Verizon. Currently he is working on multicultural and international content acquisition for Verizon. Lawson led Free Video on Demand (VOD) marketing for FiOS TV and created Verizon’s Free Marathon Marketing campaigns. Lawson was a pioneer in mobile video leading marketing efforts for V-CAST Video (Verizon Wireless) where he negotiated an exclusive live 64 game Univision World Cup deal that at that time set records for live streaming transactions at Verizon Wireless. Prior to coming to Verizon, Lawson served as a senior marketing consultant to ESPN mobile. Lawson was also a pioneer in multicultural marketing. He served Vice President Marketing at Black Entertainment Television he lead affiliate marketing efforts for BET, BET on Jazz BET Action Pay per View and lead marketing efforts at urban cable systems in LA, Philadelphia, and Maryland. Lawson also held marketing leadership positions at Wisdom Television, Time Warner Cable, Comcast and Bresnan Communications. He has been recognized with 8 CTAM (the cable industry trade marketing association) Mark Awards. 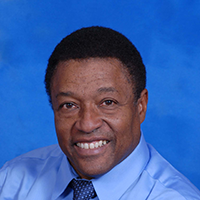 Lawson was the president of NAMIC, the cable industry diversity organization and served on the board for 10 years. He is known for his passion for mentoring and in 2005, NAMIC honored him with the L. Patrick Mellon Mentorship Award. Mr. Lawson holds a BA from Yale University and an MBA from Columbia University. But the most important thing he has done is be a loving father to 4 children all of whom are college graduates!